In late 1911 Antal Greiner ("G" in the wax) made 122 Turkish recordings, probably in Constantinople (Istanbul). In the Phonographische Zeitschrift of February 1912 appeared an advertisement mentioning Turkish and Armenian recordings among a host of other languages. 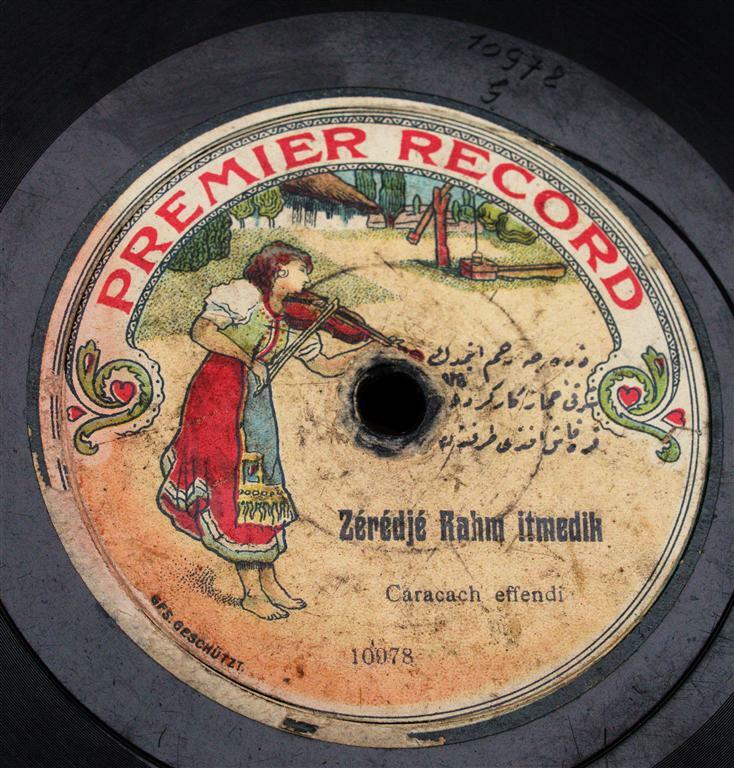 1911 Turkish recording on Hungarian Premier-Record label. Detail of same record with Antal Greiner's initial 'G'.